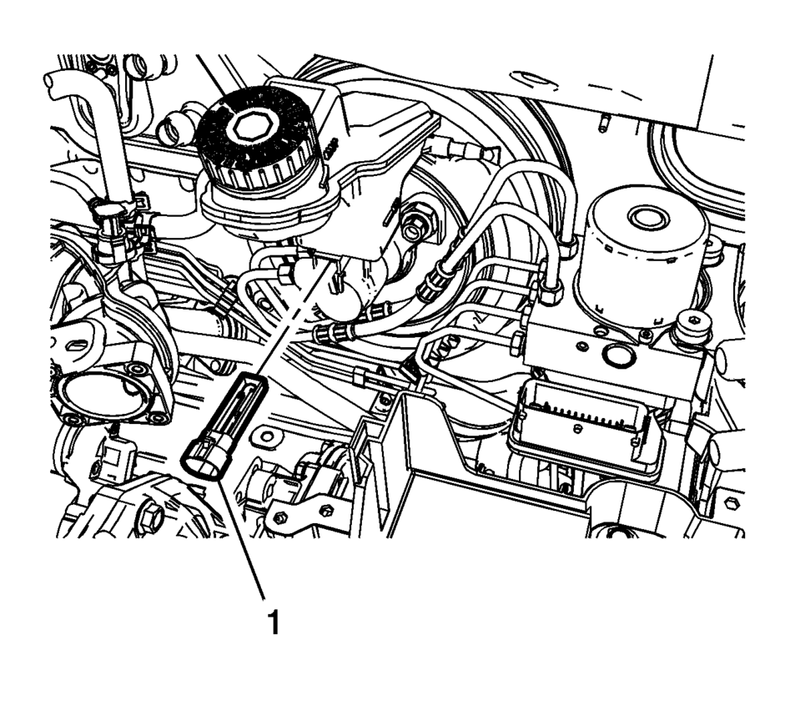 Disconnect the brake fluid level indicator switch electrical connector. Using a small, flat-bladed tool, lift the locking tab on the underside of the brake fluid level indicator switch (1) and remove the switch. Inspect the master cylinder reservoir for damage and replace, if necessary. Refer to Master Cylinder Reservoir Replacement. Install the master cylinder reservoir, if removed. Refer to Master Cylinder Reservoir Replacement. Install the brake fluid level indicator switch (1) by pressing the switch firmly into the brake master cylinder reservoir. Connect the brake fluid level indicator switch electrical connector.